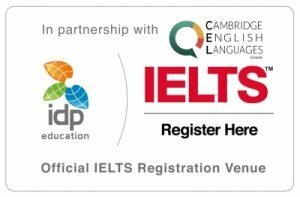 IELTS stands for the International English Language Testing System and is co-owned by IDP (International Education Specialists) IELTS: Australia, Cambridge English Language Assessment (formally known as UCLES) and the British Council. After changes were made to the test, it gained popularity and is now taken by more than 3 million people a year in over 140 countries. It is used as a language proficiency test for those immigrating to Australia, Canada, New Zealand and the UK. Over 10,000 universities, schools and immigration authorities and companies also recognize IELTS scores for student, immigration and job applications as a trusted method to evaluate English language knowledge and skills. IELTS are available up to 10 times a year and offered throughout Switzerland for your convenience. Currently, The Boston School GmbH offers our preparation courses in Zurich but we have plans to expand to other regions of Switzerland where our dedicated teachers are located. You will find the list of upcoming test dates in the section entitled “IELTS Test Registration Center: Official Dates and Fees”. Academic IELTS test: recommended for those wishing to enroll at universities with courses held in English. It also is suitable for business professionals looking to add a recognized English language certificate as proof of language proficiency level. The same IELTS test is administered to all levels of language users. There are not separate tests for different levels. IELTS tests 4 skills: listening, reading, writing and speaking. The listening, reading and writing tests take 2 hours and 45 minutes to complete. The IELTS speaking test is administered separately on a different day and is 11-14 minutes long. The speaking test is administered to one person at a time. Test takers receive a band score for each section as well as an average band score based on the score of each section. There are two main IELTS test versions: Academic IELTS and General Training. Only the reading and writing tests differ. The listening and speaking sections of both versions are the same. The IELTS test is administered many times during the year at various locations within Switzerland. Students must present a valid ID on taking the exam – the same ID used to register. The IELTS scoring system uses smaller bands in order to pinpoint a student’s level more precisely. Rather than giving just a B2 or C1 result, the IELTS band score reflects the test scorer’s level by giving a band number. 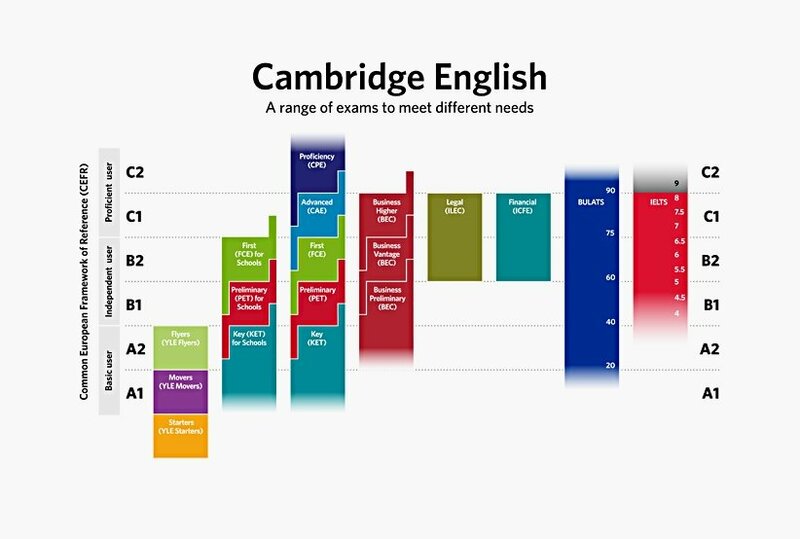 As you can see in the chart below, the scores can show whether a student is, for example, at a low, mid or high B1, B2, C1 level. Upcoming Academic IELTS Test Dates in Zurich are shown below. Dates marked with an asterisk (*) have tests offered also in Geneva. As The Boston School GmbH is an official IELTS Test Registration Partner with Cambridge English Languages GmbH, test takers in Switzerland can conveniently and directly access the official registration site by using this link. We are happy to share tips with you provided directly by IELTS Switzerland. Please click here. We will also be featuring IELTS related topics in our blog. If the above link is not working, please send your request for an IELTS Test Registration Form in hard copy to: info@thebostonschool.com. Be sure to add in the subject line: “Request to register for the IELTS Test by mail.” Please include your name and address in your e-mail and we will send the form to you within 24 hours of receiving your request. If you have any doubts about registering for a test, please read the information on The Boston School preparation courses, please check out this page before deciding to register for a test.